My most vivid memory of marrows is having boiled marrow slices served up on my dinner plate round my Nan and Granddad's. This was a regular occasion as my Granddad was an avid gardener and home grown marrows was his speciality. That and tomatoes! It has been a few years since I last ate marrow as this lovely English crop is now very much out of fashion, however a seasonal crop it is well worth the effort as its delicate flavour and silky texture are hard to beat. As most of you will know, the marrow is a squash and its fruits are better known as courgettes when they're picked at about 4 inches long - considerably shorter than when they are harvested for the supermarkets. 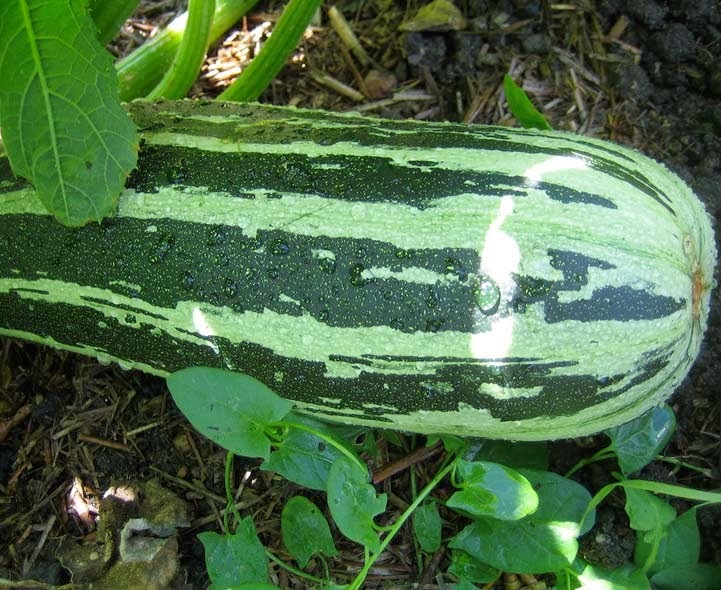 Of course, there are specific marrow cultivars and specific courgette cultivars, so if your purpose is to grow marrows you will need to purchase the right seed. Luckily marrows are easy to grow, which would explain their popularity during the 'Dig for Victory' period during the Second World War. Marrows like a rich, moist soil so dig in plenty of well-rotted farm manure or organic matter before planting - preferably a month or so before sowing. If you have a choice, marrows prefer heavier soils, and will always do best in a sunny, sheltered position - away from cold winds. 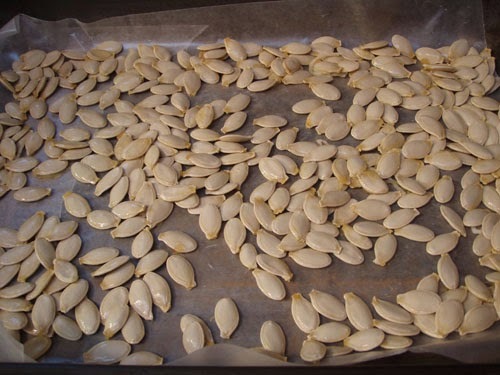 Marrow seeds are sown in late May or early June once the threat of late frosts are over. Sow two or three seeds 1 inch deep directly outdoors leaving approximately 3 ft between plants. A good tip is to sow the seeds into a shallow well in the soil. That way, when you come to watering over the summer you can provide a small 'well' of water which helps to keep this leafy, thirsty plant in good condition. If your soil will allow, create a 6 inch high mound with the well at the top. Although marrow will need plenty of water to grow they can suffer root damage if they are waterlogged for extended periods. Water in then cover the seeds with a cloche, jars or plastic; leave in place for a couple of weeks as this will help to warm the soil and speed up germination. Once the seedlings have emerged you can thin them out leaving the strongest one to mature and crop. Cover the young marrows with a protective netting or fleece to prevent damage from birds and insects. Once the marrows have reached a height of between 6-12 inches, the protection can be removed. You can also spread a thick mulch of organic matter around the plants will help to conserve moisture at the roots. Marrows will require plenty of water in order to develop fully so soak the roots thoroughly and regularly. However, try to keep as much water as you can away from the foliage to help prevent the incidence of fungal infections. Hoe between plants regularly to prevent weeds establishing, but hand weed around the stem to avoid damaging it. To promote flowering and fruiting, apply a high potash fertiliser every two weeks during the growing season. You can begin harvesting marrows from midsummer onwards when they begin to swell. Regular harvesting will encourage the production of more marrows.